Who says acrylic awards have to be all acrylic. 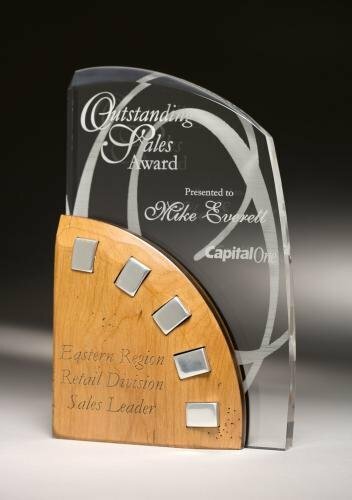 This modernized and elegant series of acrylic awards make use of other materials such as wood and aluminum to create a truly artistic acrylic award presentation. because our company never charges fees for engraved acrylic awards and never a shipping charge you save money and can buy your acrylic awards from the convenience of your computer at your office, home on while on the road.